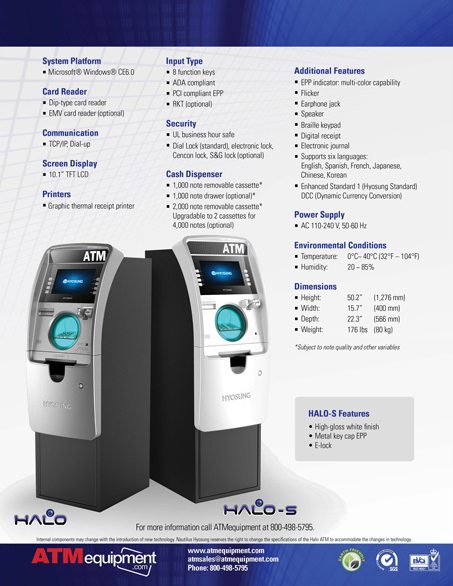 The HALO-S Series ATM Machine joins the HALO as a new addition to the family of world-class retail ATM machines from Nautilus Hyosung. 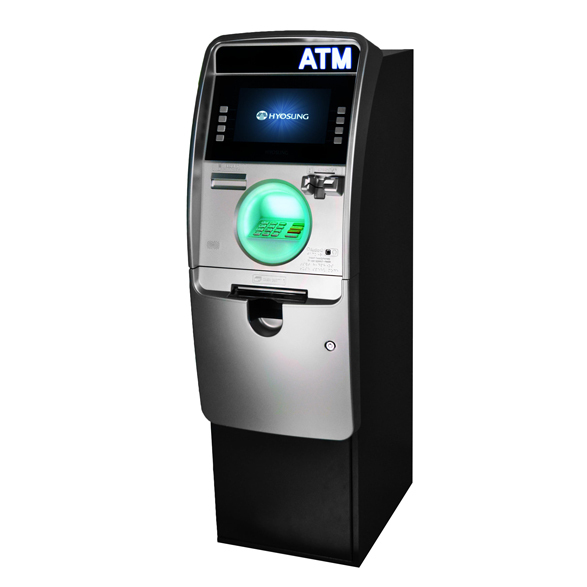 The HALO-S offers the same innovative, state-of-the-art ATM design and technology as the HALO, but comes standard with an Electronic Lock, Metal Key Cap Encrypted Pin Pad, and a High-Gloss White finish. 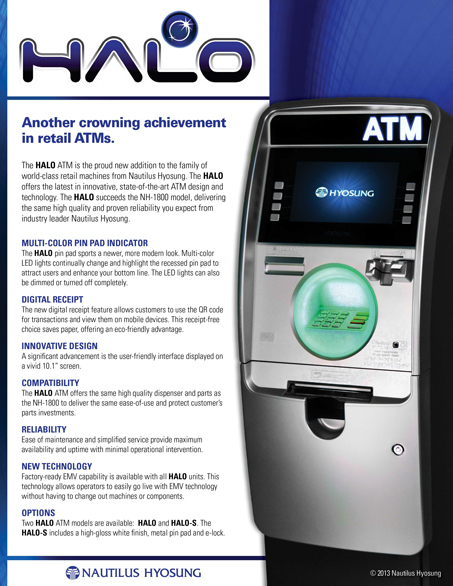 The HALO Team succeeds the NH-1800 model, delivering the same quality and reliability you expect from industry leader Nautilus Hyosung.